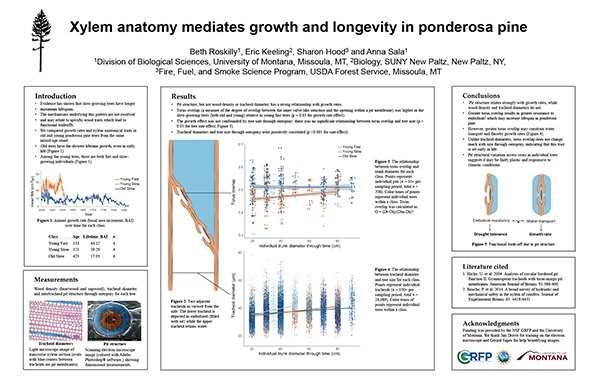 Each year, the New Phytologist Trust sponsors the ESA Physiological Ecology Section award for the best poster presented by a graduate student at the ESA Annual Meeting. 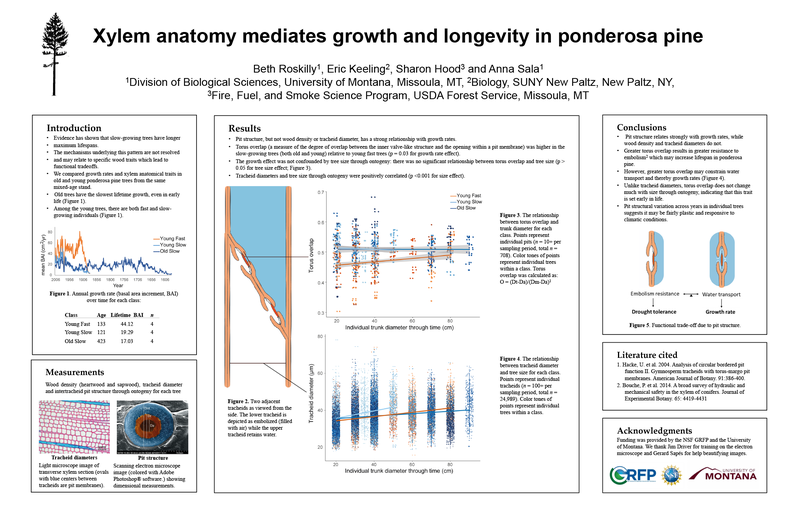 The winner of the 2017 award was Beth Roskilly, with her poster, Xylem anatomy mediates growth and longevity in ponderosa pine. Congratulations Beth! Beth Roskilly's poster (click to enlarge). Find out more about Beth and her research by reading our interview on the New Phyt blog. Visit the New Phytologist Trust stand at this year’s ESA Annual Meeting, in New Orleans, USA.